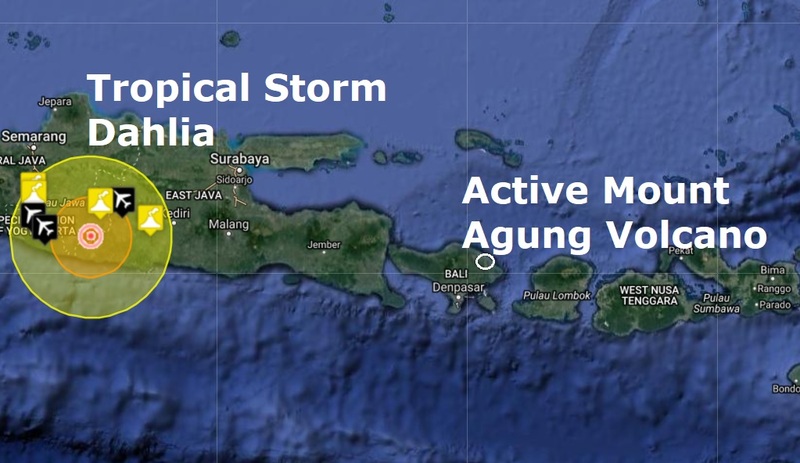 Tropical cyclone Dhalia killed 19 people on the Indonesian island of Java, officials said on Wednesday, with most of the victims caught under a landslide. "Nineteen people have died, thousands of homes have been flooded and other damage has been caused," Sutopo Purwo Nugroho, spokesman for the Disaster Mitigation Agency, said on Twitter. Three nearby airports were briefly closed but had since reopened. Flights around Indonesia have been disrupted due to the eruption of a volcano on the neighbouring holiday island of Bali to the east.